Is America Ready for Cole Escola? After creating his own work for years, the comedian and actor is stepping into the spotlight. We might need to find a bigger stage. "I've lived in New York for so long that I forget what quote-unquote 'men' are supposed to be," Cole Escola tells me. 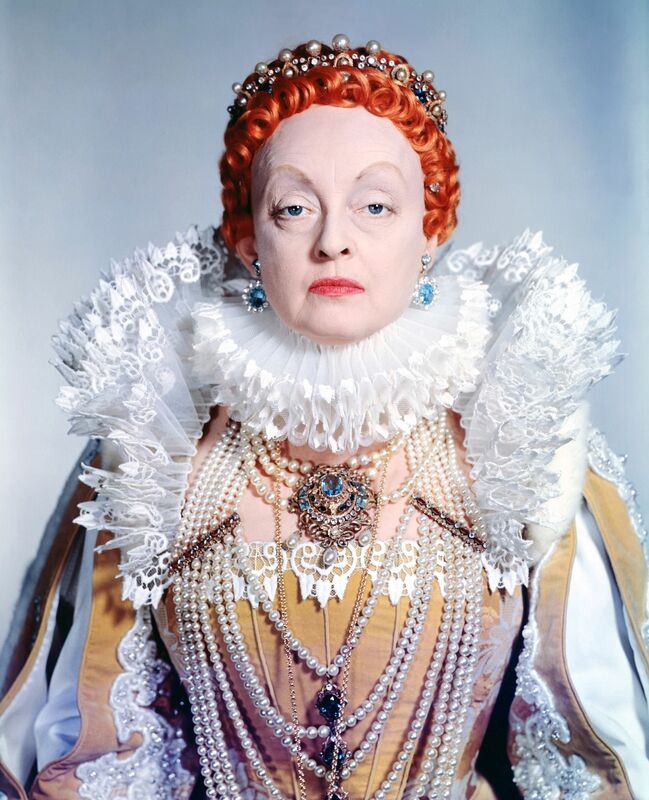 We're sitting in his living room next to a portrait of Bette Davis as Queen Elizabeth I in 1955's The Virgin Queen. Escola wears bright-blue glasses with white cutoff shorts and a sheer, peach-colored blouse that ends just above his belly button. "Not that there aren't obnoxious bros all over, but we figure out ways to avoid them, don't we? I just never identified as a 'male,'" he continues. For nearly the past decade, Escola has made a name for himself as an actor and comedian with character sketches that elevate "camp" to an absurdist art form. OUT Magazine has said he's "quite possibly the funniest person in New York City." Lena Dunham thinks he's "a bonafide genius." Today, Escola stars in Hulu's Difficult People, which returns August 8, and this fall, he'll appear on truTV's At Home with Amy Sedaris. Currently, Escola's characters take center stage in Help! I'm Stuck, his sold out one-man sketch show now playing at Joe's Pub in New York City. Yet despite critical acclaim and star turns, Escola has only just begun to dip his toes in the mainstream. And while even his most popular inventions are nothing short of bizarre—like this camera-ready suburban mom who moonlights as a dog fight baroness—that's likely due to how Escola's characters, most of whom are women, frequently mine the gender binary for laughs. "When I'm watching [Escola's] work, there's something so ungendered about it. It never feels like a man playing a woman; it feels like he exists in this floating place of gender identity," says Help! I'm Stuck director Christian Coulson. "I think that's one reason why people are able to access it so easily—and why it's also unusual." But in an America rapidly reevaluating its gender norms, Escola may be closer to breaking out into the mainstream than ever before. At Help! I'm Stuck, Escola performs both new characters and old favorites, like the Goblin Commuter of Hoboken, a nine-to-five worker bee living off the PATH train who would be excruciatingly ordinary except she is a hunched, creaky-voiced goblin. There's Toby, who Escola introduces by asking the audience, "Do you know what gay for pay is?" Then, lowering his voice and slacking his jaw, Escola becomes a young, butch man in an unnamed audition, wearing a white tank top and camouflage shorts. He just needs "money, man" to keep up with his truck payments—and ultimately turns out to be a musical-theater prodigy. There's also an unnamed character in a short, silvery gray wig and flowing beige cardigan, "an author of a book from the 80s about how to eat right for your star sign." He queries the audience for their signs. "Virgo? Mango. I like it with a little low-fat cottage cheese…" He moves to another. "Pisces? Salmon. I like it with a little low-fat cottage cheese…"
Escola fully inhabits each of his creations, manipulating his voice and body to the point where even his wigs shake, his fingers bend and his eyes twitch in character. Between sketches, Escola offers ad-libbed one-liners no doubt influenced by the 1930s actresses he adores, like Joan Crawford and Barbara Stanwyck. He discusses dating older men: "I don't like it when I call them 'Daddy,'" he says, pausing and staring contemplatively into the distance. "I like it when they call me 'Aunt Sharon.'" Escola was born in Clatskanie, Oregon, a city of just under 1,800 people. "It's basically a gas station on your way to the beach," Escola says. "It looks like a David Lynch movie without any of the cool people." The middle of three children, Escola has said his family lived in a trailer until he was six; his father was a Vietnam veteran with severe PTSD, who at one point forced his children and wife out of the house at gunpoint. They never went back, later living with a grandmother and in government housing. Escola says he was essentially waiting to escape. Theater was how he did it. By 16, Escola had moved away from home to live with his cousin and attend a high school with a bigger theater program. He had come out and fallen in love with his first boyfriend, who later broke up with him and moved to New York. Upon graduating, Escola enrolled at a school there, Marymount Manhattan College, in hopes of following his ex. He dropped out after a year, unable to take on more loans, and stayed nonetheless. "I decided I would rather not have a college education and be in New York than have a college education in Oregon," he says. He worked at Scholastic, a children's bookstore in Soho, and performed at children's birthday parties—including one where he dressed as Clifford the Big Red Dog at a party for Mary-Louise Parker's son. That was the extent of his career then. But that changed when he began making YouTube comedy videos with actor and comedian Jeffery Self. The videos, first under the name "VGL Gay Boys" (for the personal ad abbreviation "Very Good Looking"), attracted a following, and the duo decided to do a stage show that wound up at Joe's Pub after another act dropped out. Executives from LGBTQ network Logo were in the audience, loved what they saw, and asked Self and Escola to do vlogs for their website. But Self and Escola chose to do sketches instead, which executives loved and decided to air on television. They became the sketch show Jeffery and Cole Casserole, which became a cult classic for its wacky and unapologetically queer comedic sensibilities. When Self moved to Los Angeles, Escola began performing live on his own, first in cabaret events like Our Hit Parade at Joe's Pub, a show where performers would sing pop songs in their own, often zany ways. He was booked on the show by Bridget Everett, who he had met on the set of Casserole. "Once I met Cole, I wanted to be in his orbit," Everett says. "He looks like pixie dust… but he's subversive and bizarre, and you don't expect the things that are gonna come out of his body and mind to come out." Everett asked Escola to play her unborn fetus in her regarded cabaret show Rock Bottom. "[I thought] he may steal the show, but I don't care. I want [the audience] to see this,'" she says. Cabaret led to sketch, with Cole Escola is The First Gay President, a regularly sold-out show at West Village theater and bar space the Duplex, which caused PAPER Magazine to extol him as a "master of the dramatic 'ape.'" He began writing a series of YouTube shorts in which he played Bernadette Peters as an airy, on-her-own-planet diva looking to do her taxes and Joyce Conner, a not-so-secretly depressed maker of her own greeting cards, among others. "I think Cole plays these, especially female, characters better than anyone else," Self says. "He finds ways to make what might on the surface be just a one-joke thing into this nuanced, deeper and more honest, real performance." On Difficult People, Escola plays Matthew, a purposely over the top amalgam of gay stereotypes, a role written expressly for him. On the screen, Escola says he finds he has to rein himself in. Yet Escola plays Matthew as he plays his characters on stage: with so much honesty and commitment you forget they're not real. In the future Escola hopes to have his own show on television, something sketch or episodic where gets to play different characters. "His skill as a performer is what he's already doing on his own can absolutely live on a higher platform in a bigger way," says friend and occasional co-star John Early. "I think there's a common misconception [that] people like Cole or myself like to put on wigs or play women, and there's no nuance or it's arch. The assumption that there's not any truth in there is so funny to me." But there is so much truth in Escola's work, and that truth shivers from his wigs to his fingertips to his heels and back again. That truth is exactly what makes his audiences laugh: It's in the way Escola exposes snippets of life we never thought to examine or even considered funny. In a sketch called "Queers in History," Escola struts jauntily across the stage wearing a newsboy cap and underwear, pretending to be P. Fancifeather, a man whose claim to fame is swimming the Atlantic Ocean. "Honey," Escola-as-Fancifeather chirps with a purposely hokey, Mae West-esque drawl, "when a man writes you from France and tells you he's 11 inches, you swim!" Escola knows doesn't have to identify in any particular way to be funny. And he's been laughing the whole time. Follow Elyssa Goodman on Twitter.